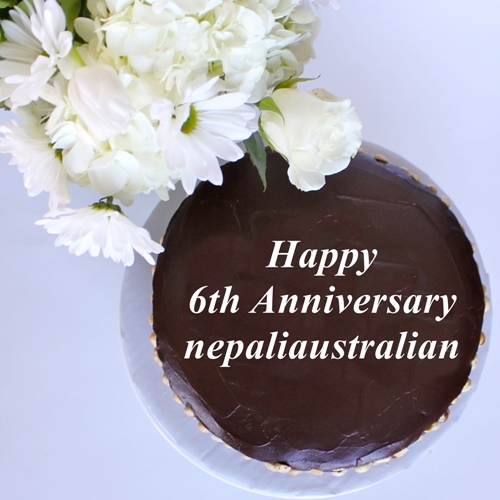 This entry was posted in Celebrations and tagged 6th anniversary, accepting guest posts, anniversary, Australia, australian, australian nepali, become a guest blogger, blog anniversary, blogging, Cake, chhori, encouraging words, fourth anniversary, happy blogger, how do i get started with the guest post?, incredible journey, M from nepaliaustralian, Nepal, Nepali, nepali australian, Nepali blog, Nepaliaustralian, nepaliaustralian turns one, personal journey, Thank you, writing. Bookmark the permalink. Congratulations and well done! I too love chatting with bloggers and even meeting them (check out one of my latest posts where I talk about one blogger who came to stay with me and my family recently)! 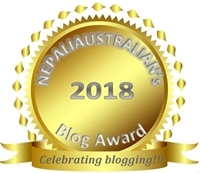 It’s been a (mostly) happy life in this blogging world and I understand your joy very much indeed! 💞 You have plenty of love you share with your readers. 🎆 You are outspoken and like a firecracker! 👨‍👩‍👧We knew you as a young wife; now you are a Mommy and have a family. Thank you and big Congratulations to you too.